The new Facebook Graph Search has been sold by the social media giant as a powerful, new way to ‘find people who share your interests.’ It certainly does that. And it also, it is being shown, can be used to find out very embarrassing information about people you know. For example, a blogger recently came up with some rather outrageous Graph Search results that are getting a lot of attention. Searches that could, in some cases, get people in a lot of personal or even government trouble. 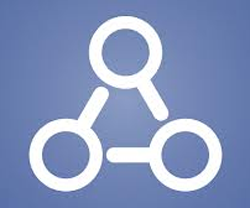 How Do I Get Access to Facebook Graph Search? At this point, the search is still in beta, so you have to sign up on the waiting list to use it. What Sort of Information Can People Find Out About Me in Graph Search? As you can see, Graph Search can be used to dig up information about people that they may not want revealed. Shouldn’t Facebook Privacy Settings Prevent Some of This Embarrassing Information from Being Public? Probably, but lots of people don’t have a clue how to use their privacy settings. This does not mean that people are not smart; they just do not have the knowledge about Internet privacy to secure their profiles. You want to make sure that your privacy settings are set so that if your bitter, angry ex wanted to ruin your life with Graph Search, she could not do it. However, the problem with this is that you can control only who sees your friend lists, but you can’t control who sees YOUR friends’ friends lists. So this is something that Facebook is going to need to iron out before Graph Search goes live to the whole world. How Will Facebook Fix This Problem? Don’t know. Facebook does not always seem that interested in people’s privacy anyway, so it’s hard to say. One idea would be to allow users to opt out entirely of Graph Search results. Maybe Facebook could allow you to select whose search results you will show up in. It remains to be seen what, if anything, that Facebook will do about these privacy concerns and Facebook revealing too much. And privacy isn’t the only concern with Graph Search – the new search engine could wipe out entire industries. We’ll see what happens when Facebook Graph Search is rolled out in the next year or so.